NIO has presented a video with its ES8 prototypes tested around the world, ahead of its market launch next year in China. The all-electric 7-seat (2-3-2) SUV is to be equipped with a dual-motor all-wheel drive power-train and probably a decent-sized battery pack (we have to speculate as NIO has yet to publish any hard specs on the EV yet). 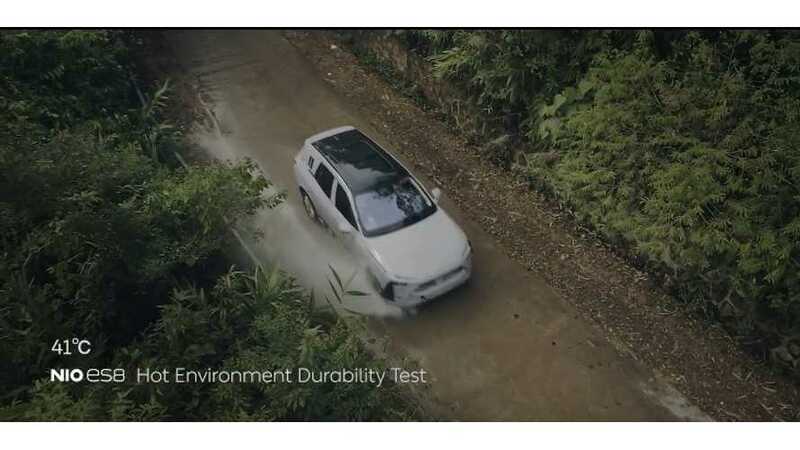 Tests of the ES8 were conducted not only in China, but also in Australia (hot climate durability test), California (autonomous driving) and Germany (air suspension). Taking into consideration how fast Chinese plug-in market grows, the all-electric SUV has more than a fighting chance for success. Once again, for those of us without access to the Chinese EV market ... we are jealous.